(Dreadmonger Florida Bureau) New reports that show that Senator Marco Rubio‘s (R-FLA.) parents left Cuba before the Castro regime took power, not after as Senator Rubio had previously claimed, have mainstream reporters incensed and vowing to “occupy Marco Rubio”. The group has set up a tent city with homemade signs declaring “Occupy Rubio Now!” on the front lawn of Senator Rubio’s Coral Gables home. As of our latest report of Thursday morning, they had been joined there by several dozen protestors. The group has named Dennis Galbicker as the spokesperson and coordinator for group activities. 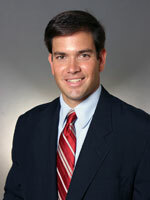 Dreadmonger reporters caught up with Mr. Galbicker on Senator Rubio’s lawn earlier today. Dreadmonger will continue to provide updates as the story unfolds. Carville Offers Obama a New Plan – Fire, Indict, Punch ‘Em in the Face! “The course we are on is not working. The hour is late, and the need is great. Fire. Indict. Fight.” James Carville – CNN 9/15/11. Those are harsh words James. The Democratic strategist, in an opinion piece today for CNN, offered his prescription to President Obama for turning around the flagging performance of the Democrats in light of this week’s election results in New York and Nevada. Carville spoke with his usual candor, ratcheted up a notch. 1) Fire somebody! Just look around you, lots of folks to choose from here. Jarrett, Holder, Geithner, take your pick. Nobody will miss them, and you’ll be cheered. Maybe even given a ticker tape parade. 2) Arrest somebody! Start with this Solyndra deal. What a cluster that one was! Surely there is some DOE or OMB honcho you can tag for this one. If not, go with Biden. He’s a joke anyhow and that frees up a valuable, wasted slot on the VP ticket. 3) Re-hire someone you fired, fire them again, and then arrest them. Make a spectacle of it. The Romans had it figured out with the Colliseum. They recognized that people love blood and spectacle. Give it to them and then, give them some more. 4) Punch somebody in the face! Not literally, of course, but figuratively. Humiliate somebody brutally and in public. I would think a Plouffe or an Axelrod would be good here. And, of course, Robert Gibbs. Everybody in the whole country hates that guy. You could sell tickets for that one. Sell out an arena. No, wait, you want to sell out an arena, make fun of Paul Krugman. You could make that guy cry, easy. 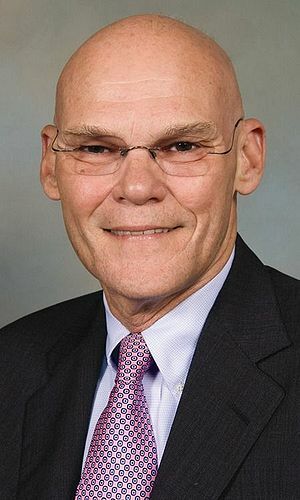 Carville said his plan was designed to protect the nation from “these creationism-loving, global-warming-denying, immigration-bashing, Social-Security-cutting, clean-air-hating, mortality-fascinated, Wall-Street-protecting Republicans”. Dreadmonger attempted to reach Mr. Carville to ask him what he really thinks. He has not yet returned our phone calls.